We at Billdu always strive to come up with new features and improvements. Our approach has yet again resulted in the creation and implementation of a brand new function to Billdu’s website. Newcomers and veteran users alike, are you ready? Read on for a detailed breakdown of Billdu’s new update – The Timeline. Wouldn’t it be nice to have a detailed, chronological overview of every action you took in regards to your invoices and other documents? When was a document created, when it was sent and to whom, did the client open it after receiving? All these questions can now be answered directly in your Billdu account by opening up any given document and checking out the History section in the bottom part of the page. There, you will find a timeline consisting of all the events that transpired with this specific document. For instance not only are you able to see when the invoice was sent but when it was received and opened by the client as well. Every event is followed by a date, an icon for quick recognition and a text description. Please note that a proforma-invoice is not yet available in all countries but it will be released soon for both mobile app and webpage. As you can see, there’s a lot to keep track of. Now you don’t have to burden yourself with it because Billdu’s Timeline will do it for you. Our developers have further plans for the Timeline function and would very much appreciate any kind of feedback you could give us. Is someone missing from the Timeline? Do you have ideas for new Events that could be tracked? If so, do not hesitate to contact us – send us an email or leave a comment below. 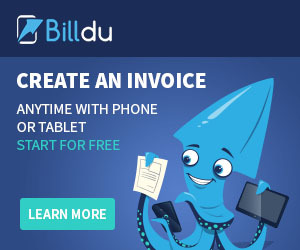 For those who have not explorer our Billdu invoice maker yet, please do so. We have mobile invoicing apps for both major mobile platforms and online invoice maker dashboard to assist you wherever you are. Want to see our new function in action? Sign up and try for free!